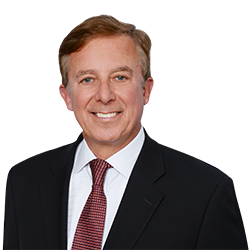 Thomas J. Flaherty | Littler Mendelson P.C. He has represented clients in actions filed by the Equal Employment Opportunity Commission, the Department of Justice and the Lawyers Committee for Civil Rights and other advocacy groups. He has extensive experience in investigations, compliance training, employment contracts and policy development, and he has advised clients on a range of issues in the private school sector and under Title III of the Civil Rights Act. Tom is the founder of Littler Mendelson's Virginia office. Before joining Littler Mendelson, he was the managing partner in the Northern Virginia office of a national general practice firm. He was previously partner and head of a Northern Virginia labor and employment practice, where he also served as firm-wide recruiting chair. After law school, he served as a law clerk to the Honorable W. Arthur Garrity, Jr., United States District Court in Boston. Tom was editor-in-chief of The Law Review at Boston College Law School and served as an aide to A. Bartlett Giamatti while at Yale. What You Don't Know About Deferred Compensation Can Harm You: Do You Have an Action Plan?